Yesterday was the opening outdoor practice for the Atacante Soccer Klub. Owen and Oliver are both members of the team. The team practices twice a week in the ISB Bubble Gymnasium, and on weekends at various places around the city, mostly at the FK Bulbulderac Field above. This year Owen will be playing in a “real” league for players born in 2002. They will have special uniforms and play weekly starting next week. I am a bit concerned that Owen will be one of the youngest players, as he was born in December of 2002. After reading Malcolm Gladwell’s “Outliers”, studies show that older players do much better and develop leadership habits on the field when they are older than most of their peers. I’ll see how it goes and how much playing time he gets. Oliver is enjoying the club also, but he is not quite ready to fully concentrate on the game. 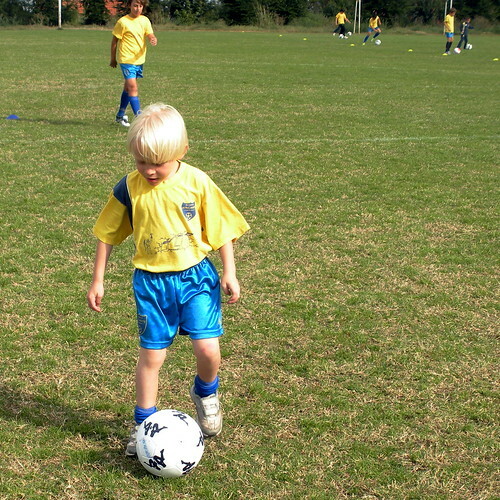 He spends a lot of time playing power rangers or looking for bugs instead of soccer during the practices. 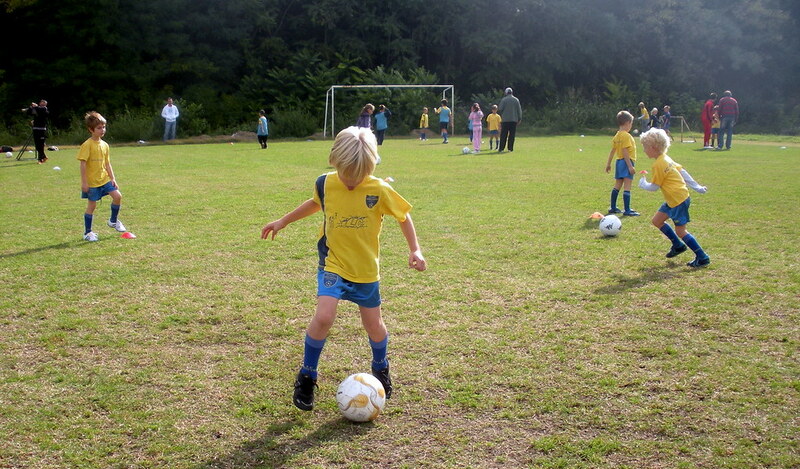 Oliver is a strong and tough athlete and will be an excellent soccer player.